David Surette is highly regarded throughout New England and beyond for his work on the guitar (both flatpicked and fingerstyle), mandolin, and cittern; Sing Out! magazine calls him “A master player of fretted instruments; The Green Mandolin is a Celtic mandolin recording tour-de-force.” His diverse repertoire includes Celtic and New England tunes, original compositions, blues and ragtime, traditional American roots music, and folk music from a variety of traditions. With his wife, singer Susie Burke, the duo have performed regularly together for more than 30 years, recording several albums and building a reputation as one of New England’s top folk duos. Surette was a founding member of the Airdance band with fiddler Rodney Miller, with whom he recorded four albums and toured nationally. He has also released five critically-acclaimed solo CDs; his most recent release, Waiting For The Sun, is a duo recording with Susie. In addition, Surette is a gifted teacher, having taught at numerous workshops, camps, and festivals throughout the US, and in the UK and Italy. He is folk music coordinator at the Concord (NH) Community Music School, and artistic director of their March Mandolin Festival, now in its 17th year. David Roth is a singer, songwriter, recording artist, and enthusiastic instructor who has taken his songs, experience, and expertise to a wide variety of venues in this and other countries full-time for three decades. His work has found it’s way to Carnegie Hall, the United Nations, several Chicken Soup for the Soul books, the Kennedy Center, Peter, Paul, & Mary and Kingston Trio CDs, the Kerrville and Falcon Ridge Folk Festivals (top honors at both “Emerging Artist” competitions), NASA’s Goddard Space Center (his song “Rocket Science” sailed on the space shuttle Atlantis in 2009), the Rise Up Singing and Rise Again (sequel) songbooks, and 15 CDs on the Wind River and Stockfisch (Germany) labels. The former artist-in-residence at New York’s Omega Institute has been on many of Christine Lavin’s seminal Rounder Records compilations, and has also taught singing, songwriting, and performance at Summersongs (NY ~ where he serves as Executive Director), the Augusta Heritage workshops (WV), Common Ground on the Hill (MD), the Woods Dance & Music Camp (Ontario), WUMB’s Summer Acoustic Music Week (NH), Rowe Center (MA), Pendle Hill (PA), Lamb’s Retreat (MI), the National Wellness Institute (WI), the Swannanoa Gathering (NC), and for many other songwriting groups and associations around the country. David is also creator/director of the Cape Cod Songwriters Retreats and organizer/host of the Cape’s Full Moon Open Mic which for the past 15 years has provided a forum for musicians to connect and be heard while at the same time collecting donations (cumulatively nearly $15,000 to date) for local non-profits to help neighbors in need. In addition to her work for adult audiences, Susie Burke is an exceptional children's performer, as her many fans both young and older will testify. 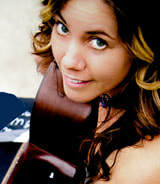 Drawing on her unique background as both a professional musician and an early childhood teacher, she presents a program that is entertaining, educational, involving, inspiring, and of high musical caliber. Themes of friendship, the environment, and a child's sense of self are often a focus, along with lots of songs that are just plain fun. Children are encouraged to participate, with singing, clapping, call-and-response, and movement games. They are also presented with songs that encourage a more thoughtful response, regarding their feelings, their relations with other children, and their day-to-day trials and triumphs. Susie's strong, beautiful voice and her warm, heartfelt stage manner help to create a memorable and valuable musical experience for children. From the beginning of her musical career, Susie Burke has been involved with children. In fact, it was only after leaving her job as a preschool teacher that she was able to devote herself full-time to music. She has established herself as one of New England's finest children's performers, as well as building a strong and devoted following on the regional and national folk circuits. She has released six acclaimed recordings to date. David Steward is a guitar picking singer-songwriter who has been hiding out in the canyonlands of southeast Utah for more than 30 years. He loves to play many different styles of music. He has been a singing cowboy for many years, both as a solo performer and with the Bar-M Wranglers. Yes, he can yodel! He currently is playing with high energy alt-bluegrass band Quicksand Soup along with fellow camp instructor Eric Jones. He regularly performs in a jazz setting with legendary bassist Gene Perla. He enjoys mixing it up with other groups whether it is fronting a rock band, playing classic country or accompanying fiddler Sue Sternberg at a contra dance. Eric Jones is a student of early Americana music. His sound reflects a fondness for dressing-up traditional songs in new musical styles. He was a founding member of the Irish-American band Keltika, and the western slope string band Big Timbre. In addition to his solo work, he can be heard playing mandolin with the alt-bluegrass band Quicksand Soup and the folk-rock Rogue Assets. Eric has been hosting jams and teaching mandolin at the Moab Folk Camp since its first year. Jon Fuller has been exploring and photographing the Moab area for almost 35 years and has been a Moab resident for the past twenty years. He is a working free-lance stock photographer and is a member of the North American Nature Photographers Association (NANPA). His first published photo was a two-page spread in National Geographic Magazine in January 1983. He has since been published in hundreds of publications world-wide, from the Singapore Times and Ranger Rick Magazine to Geomundo and the Insight Guide Books. He has traveled extensively internationally and has photographed in more than 40 countries, but his favorite subject is still the Colorado Plateau.